2. Click on the 'Sign Up' button. 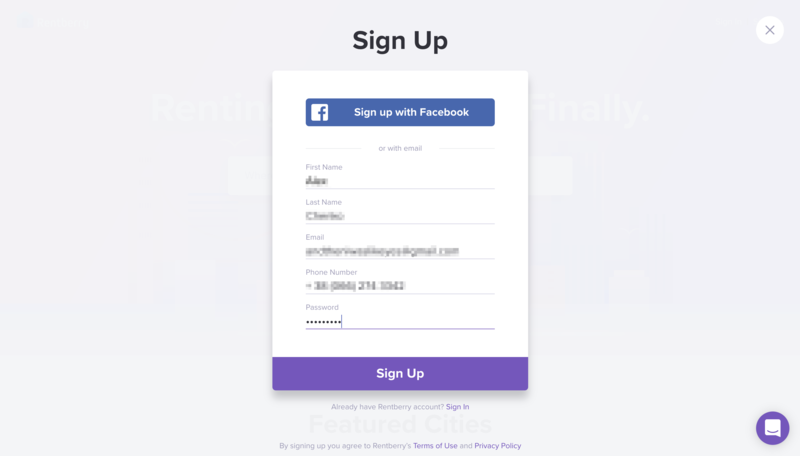 Fill in your personal information or simply Sign Up using your Facebook account. Please note: You need to enter the full phone number including the international dialing code of your country (+1 for US, etc.). 3. You will receive an SMS confirmation number. Use it to verify your phone and complete your sign up process. 4. That's it. 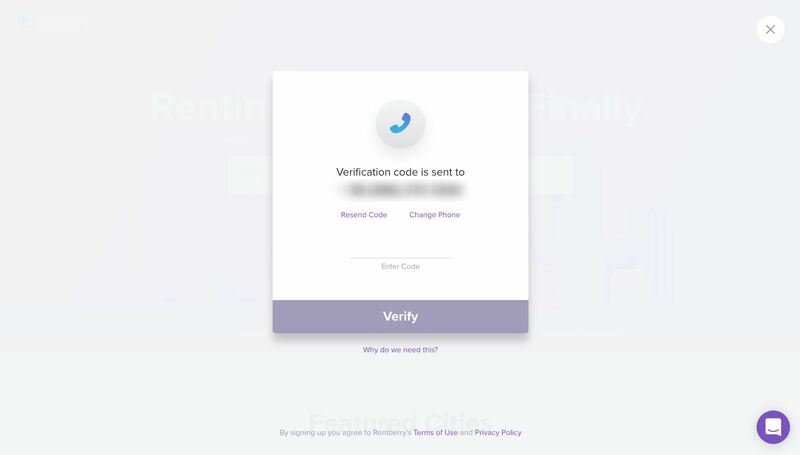 You're all set to use the Rentberry platform.